A multi-disciplinary program is supercharging engineers, transforming them into entrepreneurs. 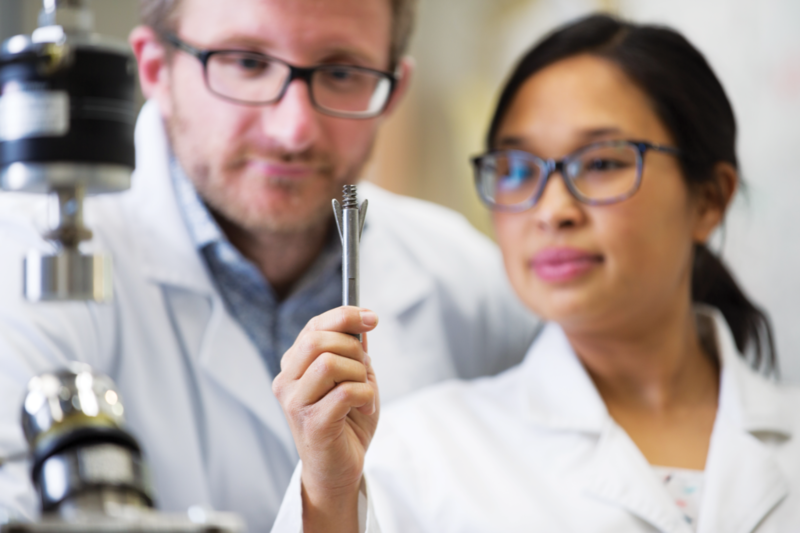 Dr Matt Oldakowski, an entrepreneur, researcher at Curtin University and co-director of Perth Biodesign, runs an intensive six-month program that teams engineers with researchers, business professionals and clinicians. He answers the question in the affirmative. Before heading the program, Oldakowski and course co-director Intan Oldakowska spent five months in Stanford University’s renowned Biodesign Global Faculty in Training program, learning the Biodesign innovation process and how it can be taught. It follows the order of ‘identify, invent, implement’, beginning with clinical immersion and identifying unmet healthcare needs. “They follow around a clinical mentor, like a senior doctor, for a couple of days and watch the problems,” Oldakowski told create, discussing the Biodesign teams. Teams of five identify “about 20 to 30” problems based on what they see, sit down as a team, validate their ideas with doctors, pick one problem after a couple of months, and then — after brainstorming a collection of possible solutions — whittle it down to three top concepts. Dermacool, one of Perth Biodesign’s five 2018 teams undertook their clinical immersion with the Fiona Wood Foundation and developed a way to reduce progressive tissue damage for burns victims at the pre-treatment stage. To protect the project’s intellectual property, the details can’t be shared, but they aim to provide a solution superior to the standard treatment of running cold water over burns for 20 minutes. Eldin Rostom, a member of the team, finished at Curtin University in 2017 with first class honours and works as a graduate mechanical engineer at McDowall Affleck. He counts Perth Biodesign as one of his favourite post-grad experiences. It helped him develop professionally “all over the shop”, with experiences in project management, concept design, prototyping and risk management. “I’m aiming to be a more rounded engineer … We’re very curious by nature, we can spend hours and hours just refining our designs and our calculations,” he said. “This sort of brings you back and teaches you … how it’s important to manage your stakeholders. How marketing is important. Sales as well. Strategy. Any promising idea also needs to make commercial sense. Besides finding an unmet need, prototyping ideas, and investigating patenting, teams must consider reimbursement, business models and raising funding. Oldakowski has co-founded companies to commercialise innovations he’s had a role in, including Cervical ChinUp, EarBuddy and REX Ortho. The latter is based on an expandable yet removable orthopaedic screw with superior fixation to bone, which he has worked on since 2012. His focus on the expandable fastener has changed from spinal to shoulder to hip surgeries, based on where there appears to be a market for the invention. Matt Oldakowski (left) and Intan Oldakowska with the expandable orthopaedic screw. Rostom said that approaching clinical problems as an outsider yielded novel concepts. “The clinical environment is quite segregated from the engineering aspect,” Rostom told create. Doctors were skilled at their jobs, he added, but could approach clinical issues in a “dogmatic” way. “An analogy that we use at Perth Biodesign is: the doctors are sort of like jockeys riding horses, which are their procedures,” he said. Challenges like pivoting based on market need and regulatory hurdles are part of the reality of innovation — a complicated process, though one that can be taught. “Instead of which concept sounds the coolest or the surgeon likes the best, you say, ‘Actually, looking at all the risks involved, which is the most likely to solve the problem for the patient? And which is actually going to get adopted and is actually going to come to fruition within the healthcare system?’,” Oldakowski said of the Perth Biodesign program.